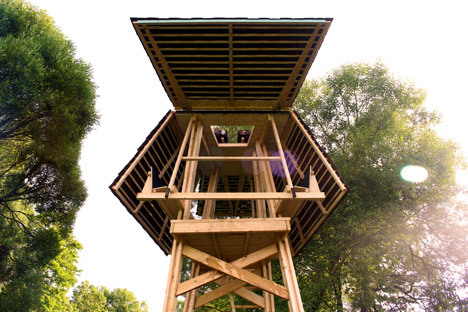 The sides of this four.5 metre-substantial stilted cabin lift open to offer inhabitants an uninterrupted see of the Latvian landscape . 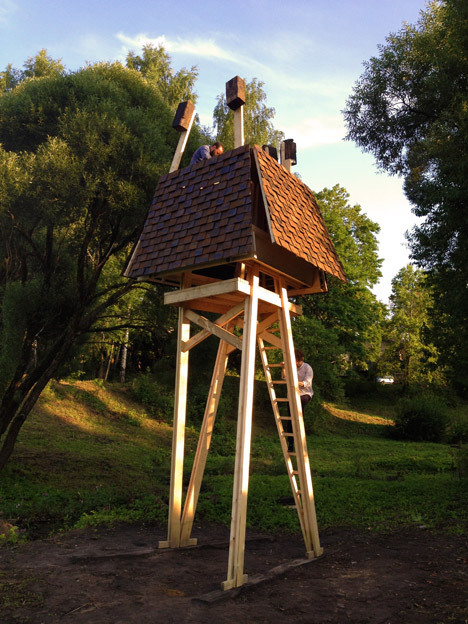 Made and constructed by a group of college students at the Riga Technical University summer time school, the construction is part of a program to make far better use of an open room that backlinks the Pirtsupites Grava Valley in Cēsis to a historic castle. Doing work alongside the town mayor, the staff of 13 proposed “re-wilding” the valley by intentionally permitting the grassy park to turn out to be overgrown. 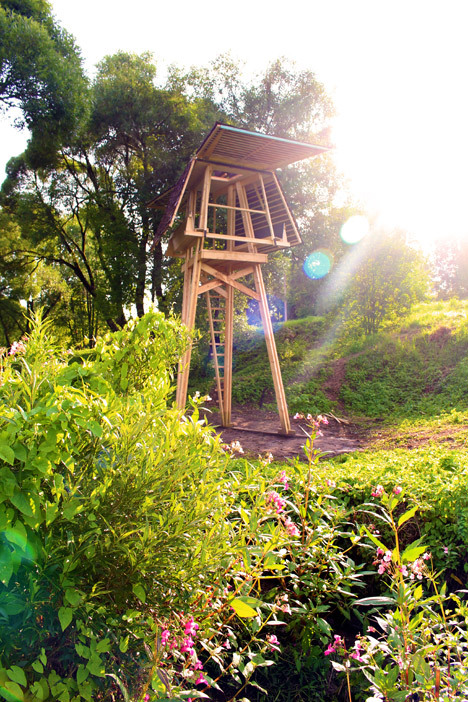 The college students and tutors then worked with each other to design a tall structure that would let uninterrupted views of the valley, which they describe as being like a strange creature walking out from behind the trees. 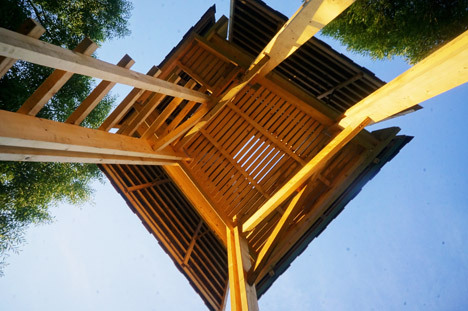 “It was virtually an accident that the framework itself started to grow to be creature like through the design and style approach,” he additional. 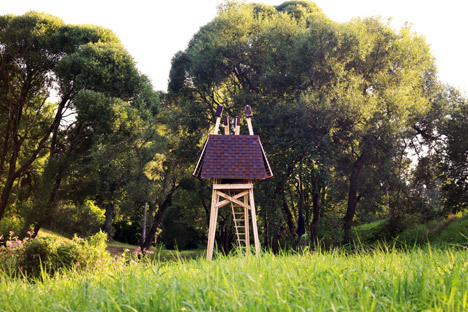 Sloped walls that have been clad in rubber shingles form the four sides of the cabin. 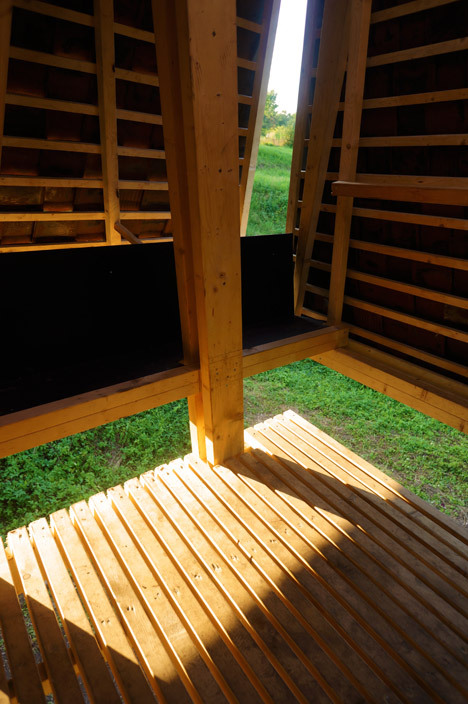 Each of the walls can be pushed open from the within, with counterweighted timber poles keeping them in spot. 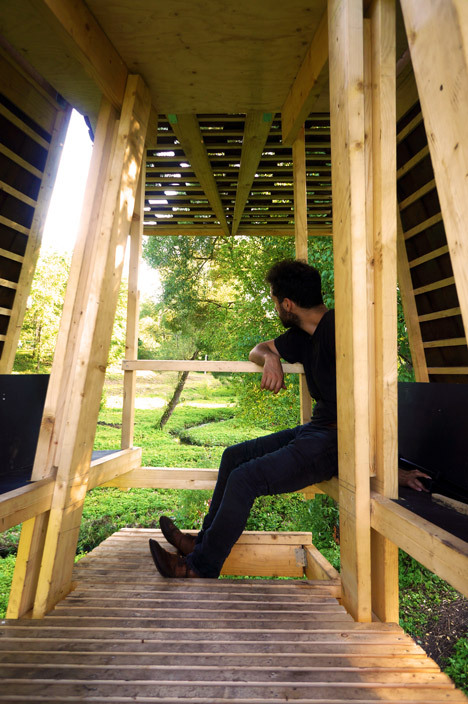 A bench massive adequate to seat 6 individuals is housed inside of the framework, and a window in the ceiling allows views of the sky. 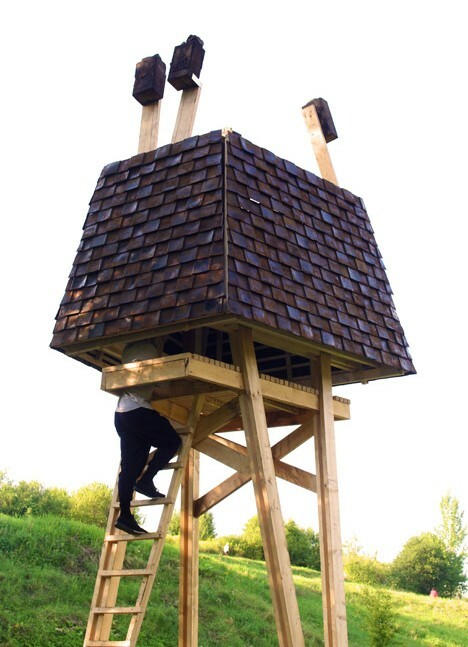 Aiming to emphasis its creature-like presence, the cabin has been mounted on wooden A and V-shaped legs. “We chose the A and V frame legs to make it seem as even though it is strolling,” said Molloy. 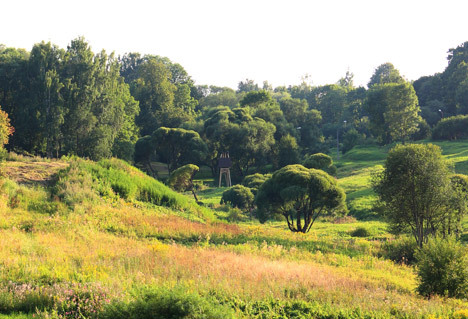 The Wild Factor will stay in place for at least two many years – or till the meadow grows so high that it turns into inaccessible, according to the group. 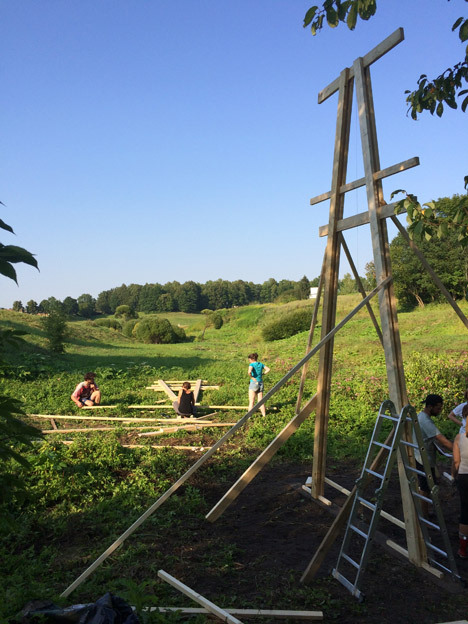 Riga Technical University hosts a style-and-develop workshop every single summertime to encourages students to seem at local community troubles. 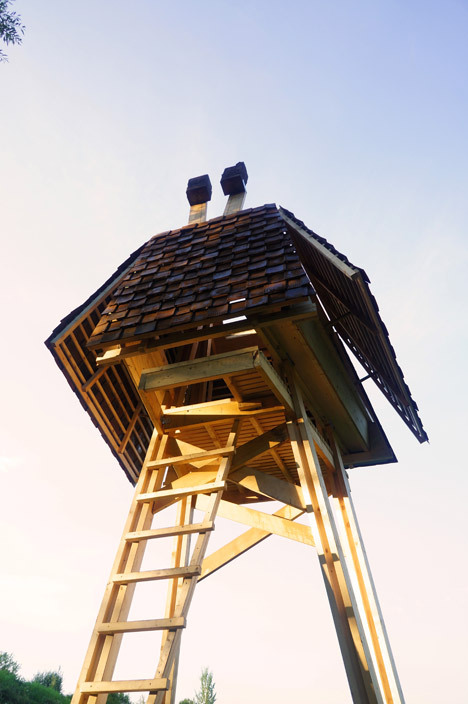 Previously, students from the summertime school produced a library tower exactly where passers-by could drop off and exchange unwanted books. Photography is by Developing Functions Unit. Tutors: Niklāvs Paegle, Theodore Molloy, Thomas Randall–Page. Assistants: Lucas Facer, Chloe Leen. College students: Mariana Meneguetti, Amanda Sperger, Joséphine Devaud Koenig, Wojtek Pisarczyk, Jennifer Whittaker, Ozan Toksoz Blauel, Lu Mursalimova, Arta Buceniece, Anja Milojevic, Kairit Sõlg, Zivan Miletic, Aivars Žogla.